After “Humsafar“, expectations for any work involving Sarmad Sultan Khoosat were high, and seemingly impossible to fulfil. How does one compete with a phenomenon, especially one you created yourself? The answer was apparently simple ─ “Shehr-e-Zaat“. This isn’t “Humsafar”, but it is a tour de force in its own right. It is yet another bright feather in director Sarmad’s cap. The story, written by Umera Ahmad, is a difficult concept to bring to the screen. What might be a deeply insightful work on paper can seem bland and heavy handed on screen. 7th Sky and Hum TV have done an admirable job, the production values are flawless. This is a serious drama. It demands our attention, pushes us out of easy assumptions and, yes, it can be uncomfortable to watch, yet it catches hold of the viewer just like its beautifully haunting Original Sound Track (OST) “Yaar Ko Humne Ja-baja Dekha” sung by Abida Parveen. You hear the music in your head; the lyrics are unsettling in a strange way and you begin to wonder …What does it all mean? Mahira Khan essays the lead role of Falak with surprising ease. It should silence her critics, and for those who it doesn’t silence, well, there is little that can actually satisfy them. She has grown as a performer and I am hard put to think of anyone else in this role. She owns it. Mahira manages to make what is a very unsympathetic, self-centred and vain character, seem vulnerable and empathetic despite her flaws. Falak’s beauty, her wealth and social status have blinded her to the realities of this world. She despises ugliness and cannot see the human beings hidden by the grime of poverty. Her accidental meeting with Salman Anser is poetic justice. The object of her sudden affections, Salman Anser , is already in a desperate love affair with himself and has little time for Falak. Undaunted, through shameless persistence she cajoles him into marriage. Mikaal Zulfikar has given a masterful performance in his role. There is very little that can be called heroic about the character he plays, but Mikaal lends a certain charm that Salman hardly deserves. This is nothing new for Mikaal, who seems to excel at playing ‘La Belle Dame Sans Merci’. Apart from the lead protagonists, every actor has given their best ─ Hina Bayat, Samina Peerzada and, of course, Mohib Mirza, who has done a simply outstanding job as Humza, Falak’s best friend and would-be suitor. I simply must mention Mansha Pasha, Falak’s friend Rushna, who is like a breath of fresh air every time she is on screen. The heart of the story is about spiritual awakening. A sharp contrast is drawn between the Sufi concepts of ishq e haqeeqi, the love of a human for God, and ishq e majazi, the love of a human for another human ─ not an easy accomplishment. This she says after she discovers that the woman her husband is having an affair with is her inferior in every way. While I could understand the oddly intellectual admonishment given to Falak by a beach side fakir, her naani’s (maternal grandmother) constant preachiness could explain the family’s disdain for overt religious practice. I wish that had been done better. In any other story, Falak would be the villainous, spoilt first wife, soon to be discarded in favour of the “miss middle class virtues” her beleaguered husband meets at the office. However, this is a story which defies stereotypes. Tabinda, the “other woman”, is vulgar and coarse. Now this was a source of confusion for many. Why would the proud, refined Salman be interested in such a woman? However, the brilliant Nadia Afghan has given this a surprisingly comic turn, as the deadpan foil to the elite families. It might have been easier to understand if we had been shown the connection Salman made with her. Umera Ahmad has insinuated a very feminist idea into this story. Men are like doors, she says, they can open a way for a woman or they can prevent her from going forward; they are not the goal. She reminds us that marriage is sometimes like other material things of this world ─ a distraction. There is also a message of deep compassion for the victims of infidelity. Human beings may be cruel to one another; they may devalue and make a mockery of their relationships and promises, but Allah the Eternal, always values us. From every billboard and movie, from our Facebook pages to business strategy books, we are told to follow our hearts, to listen to our feelings. Perhaps we should pause and think: is what our heart desires actually the right, the principled thing to do? 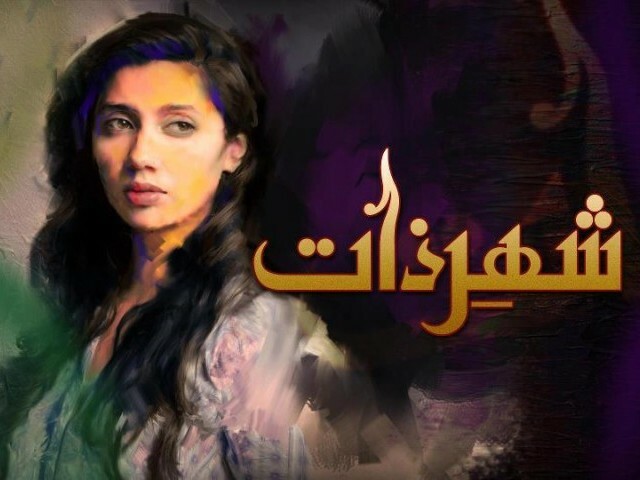 I ave been keenly following Shehr-e-Zaat and am truly in agreement with the writer of this blog that this was a challenging idea for screenplay and Sarmad has done the job wonderfully. I really admire the dialogues specially thsoe by Naani and Falak.They have utmost depth in them and are jolting in many ways. They are like piercing wind in deep silence. So simple yet so complex. I want to share my understanding of why Salman is seen to desperately love Tabindah despite her being so caorse and nothing compared to her wife. I think Falak s early portrayal as a pretty ,dying -for- love- of- Salman type of girl, her ignorance of her Naanis preachign of Allah is acutally a signal of her personality whcih is shown of as woman who thinks that if she can get her love , her life is complete. Actually she made salman her God in a way , her life revolved around him. She couldnot imagine that the world existed without him.She almost forgot that there is Allah running the whole damn show in this world and each of us are merely puppet in his hands. Salman is shown to fall in love wth such a miserable character to give the message that its Allah who puts a humanslove in another human`s art. A man is nothing. A man is not capable of being loved to the extent Allah shoudl be loved. The message is that our hearts are under the control of the Superme Power called Allah like the rest of our bodies. Thanks one and all for reading the review. @ Tribune reader, I have to respectfully disagree and say that this is a rather unusual concept for any drama let alone Pakistan. 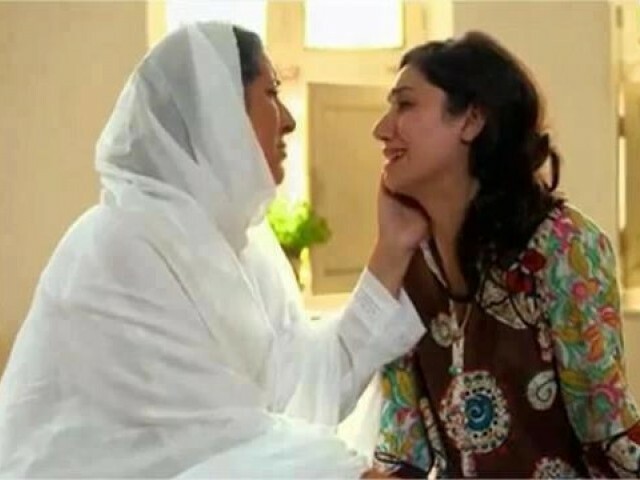 This kind of high quality ,cutting edge work has caught the imagination of viewers across three continents.It is popular in Pakistan, if I speak to family and friends in Europe they are following it on line and it is among the first topics of conversation across the diaspora in North America.As far as Mahira’s acting goes perhaps we should move beyond personalities and consider a person’s work alone. This drama is WAY better than other crappy dramas which revolve around typical saas-Bahu-nand-shohar fights. @Parvez: In hurry you made two mistakes: first, by just watching a bit of this drama you concluded that you were watching another ‘Hamsafar’ – Wrong – , second, even if you had made a judgement about genre of this drama, you should not have so quick to leave your ‘opinion’ on this page – again wrong. Sherezaat was just an above average show if u ask me. The story is moving at a snails pace, the scenes are too long & dragged out,, & the dialogues are never ending. Beautiful and masterly review, very well written indeed. However I feel play is just above average. no comparison to Humsafar. Mahira khan is getting better but her long scenes are at times bit taxing for the viewers. Mysticism/ Sufi theme has been masterly addressed by dramatists like late Ashfaq ahmed and renowned Bano Qudsia.. Such drama need touch of surrealism which seems to be missing here. Nice review very well written. However theme isn’t ‘unusual’ as various playwrights have given superb treatment to this theme. We love Mahira khan, but she is trying very hard and one can clearly see this. I think it is just an above average play. The writing is nothing but drivel inspired by the religious right which holds that anyone who does not pray five times and day or is not constantly going on and on about religion can not possibly be a good kind human being and thats how all the non religious characters in this drama have been portrayed. The drama was interesting and obsorbing until they introduced the character of Tabinda…the character is designed for the sole purpose of eliciting sympathy from the viewer for Falak who until that point had been a throughly unlikeable character with few if any positive characteristics to enforce the above point. There is just no way in hell that in the real world some one like Salman falls for some one like Tabinda…the concept is interesting that how some one with none of the physical, financial and social strengths of Falak is able to be more important to Salman. It would have been a facinating to observe how Falak’s realization that all these are not enough leads her to relook at her life and become a more mature and well rounded human being from the self self obsessed brat that she is. But the writers went the easy route and completely squandered the potential and great set up of this drama by making Tabinda a character with no redeeming characteristics to explain Salman’s attraction and Falak comes off as a mentally unstable person who is unable to handle rejection and is incapable of coping with life’s trials and moves from one extreme of the spectrum to the other extreme. This is all preachy BS which can be condensed into one sentence – she was not religious that is why this is happening to her. Million thanks for putting it so eloquently. I agree with you 100 percent. There is absolutely nothing new in the plot. This theme is being rammed down our throats since General Zia’s time. Falak was a self centered spoilt brat who wasn’t religious and that’s why she is suffering. I’m dismayed to see how seemingly educated people call it a difficult and UNUSUAL idea!!! @Anwer Suhail ,thanks for your comments I really enjoy reading them. You seem to have thought a great deal about this and I would love to hear your opinion on the opposite end of the spectrum. We all know of the perniciouse effects the Zia regime had on Pakistani culture and the rise in ignorant fundamentalism but what about the rise in materialism and as you quite rightly describe Falak, the “brattish” ‘me me me me ‘ culture of indefference to humanity that is also the target of this drama ? Let us not throw out the baby with the batwater . very well written article Sadaf! I agree, this drama is a breath of fresh air among many other dramas which highlight the typical social issues of Pakistan. They took a very common topic of a rich girl falling in love w a guy and yet turned it into a very deep message of self reflection and soul searching. I am eager to see how it all turns out. I’d like to share my personal blog where I actually wrote about this drama episode. Hope you guys take a moment to read my writing. Thanks for replying Anwer Sohail, point taken , analysed and agreed with. 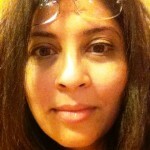 Thanks for the link Sania, very well reasoned and written! Wellcome Mansi , I am glad you like Pakistani Dramas and have taken the time to comment. the concept/adaptation is too good. It gives you food for thought. Just saw this Sadaf- As always, very well written! How do you guys do it?